Anne O'Farrell Bishop is a life long resident of Saratoga Springs and attended Lock Haven University in Pennsylvania. Married and the mother of four sons she has been long active in the community through school and athletic associations and as a volunteer for the American Cancer Society's "Road to Recovery Program". Anne brings personal experience in home renovation and the new home construction process. Having renovated a number of homes, she can see the value in properties that may need TLC and thrives on turning them around. As an “Accredited Staging Professional” (ASP), she offers her customers this proven tool for an optimal selling experience. Staging your home for a sale will set you apart from the pack and get your home sold faster! 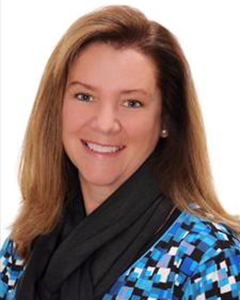 With her vast knowledge of Saratoga Springs and surrounding areas, as well as the abundance of activities to be found here, Anne is eager to share her enthusiasm for this wonderful community with you. Anne is a member of the Greater Capital Association of REALTORS®, National Association of REALTORS®, and the New York State Association of REALTORS®. Contact Anne Bishop at Berkshire Hathaway HomeServices Blake, REALTORS® for all your real estate needs!